Rejection… Rejection… Rejection… wherever you go, and you listen to this word then maximum people will be a break and will be not able to bounce back in life. but there is a man who defeated it very nicely and created history in world business. This is the man who known for his biggest IPO opening in New York exchange and he is running highly b2b traffic website Alibaba.com, This Alibaba magical man is JACK MA. A Chinese Entrepreneur, his net worth is about US$42.4 billion. There was a time in his life when he was not selected for 30 jobs out of 30 applied jobs. KFC has also rejected this single person out of 24 people and rejected 10 times by Harvard Business School. Jack Ma is also known by Ma since childhood as Ma is his family name. He was born in Zhejiang, China on 15th Oct 1964. He is an English graduate from Hangzhou Normal University. He used to go approx. 60 miles from his home to a tourist destination to train himself in English by speaking to a foreigner. Later, he was teaching English at a university in China. He met a Chinese beauty Zhang Ying in his university and later he married her and today they are the parent of two children. In 1994, he was on US tour his friend has introduced him internet by searching for a keyword term beer and wondered to see the result of the internet. His interest has built up now and now thought to start his own website company with the help of his wife and he invested $21000. It was China yellow page and made $85000 in the next 3-4 years. Late 1999, He founded Alibaba and wanted to grow the local market in e-commerce. After a few years, he made this company the most valuable technology company in the world. It was listed on IPO of New York stock exchange and it had raised over $25 billion. Today it’s a group and market value of Alibaba is $530 billion which deal in e-commerce, AI, retails, technology, internet, and online payment gateway. Jack Ma had also made his first short film Gong Shou Dao. It’s a 20 min long film, he has acted, and the film is in Mandarin, Chinese. It was watched by 200 million worldwide on the internet in 2017. Ma’s parents were musicians and that is how they met each other. When Jack was young, he used to travel 70 miles on his bicycle to give tourists tours of the city. In this way, he was able to learn foreign languages and especially English language. He got his name “Jack” from a foreigner too, who became his best friend. That foreigner found his Chinese name to be very difficult and that’s why he named him Jack. Jack Ma is not only a Chinese businessman but also an owner of a great personality. He is also an investor and a motivational speaker. His motivation has improved the lives of numerous people and the number is increasing. He has his lovers in every part of the world. Jack also started learning kung fu, dancing, and singing. He is also featured in many magazines like Forbes, Fortune, and many others. Jack Ma is the ideal personality of many people. In 1999, He had enough money to start the Alibaba group. Alibaba group became very popular after 2004. eBay wanted to buy Alibaba group’s Taobao marketplace. Jack refused this offer. He became extremely popular that many universities invited him to do motivational speeches. Some of these universities include the University of Pennsylvania, Massachusetts Institute of Technology, Harvard University, and Peking University. 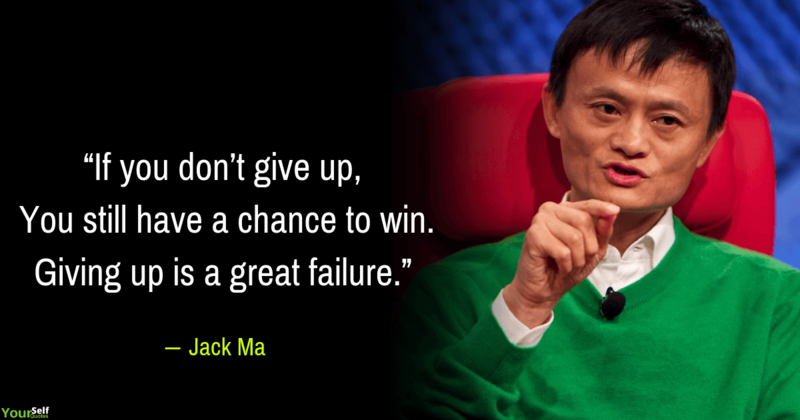 The magical man Jack Ma Alibaba will be known for his dedication and a spirit of never give up. He always thinks out of a box and proved it. Jack Ma Biography teaches us to believe in yourself strength and never give up and do hard work one day you will get success. Let’s write your comment and describe your thought which stopping you do something in life. Thank you for visiting our page, Also keep visiting Yourself Quotes for more updates and share, comment with your friends!!! 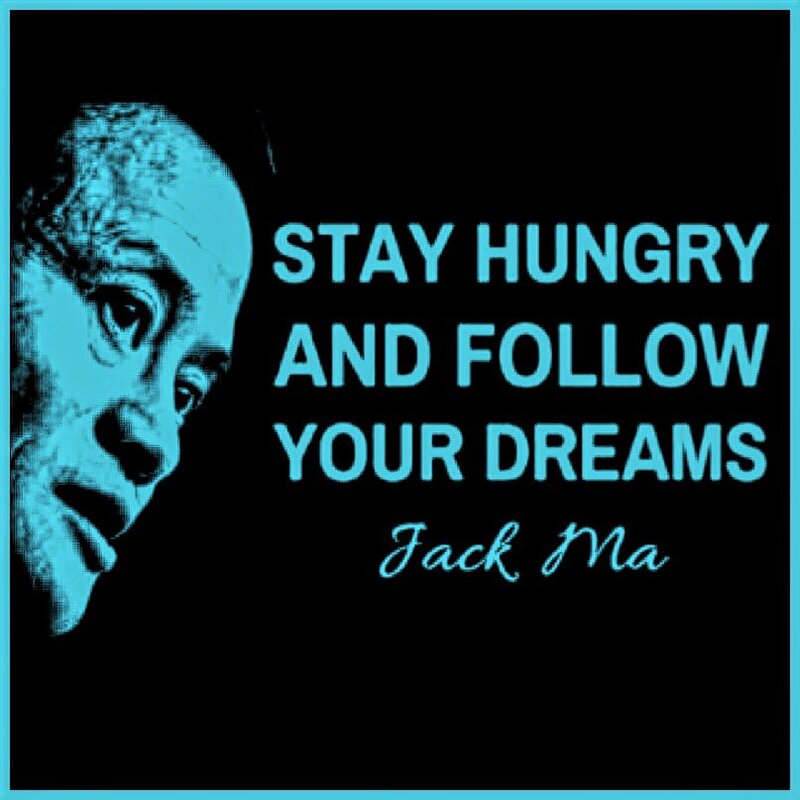 Since I resigned ..my daily routines made me giving up my dreams…Until I read about Jack Ma….he inspired and motivated me..now I have nothing the next time I comment here i’ll make sure that I have everything..?? Thank you for reading Jack Ma Quotes. Izzay: Keep Visiting our website to read more success stories. very very nice Quotes Thanks For sharing With us.